Apple unleashed an update to iOS 8. Unfortunately, iOS 8.0.1 killed cell service and TouchID for many iPhone users. The iPhone without the actual phone part is really just an expensive iPod touch. Fortunately you can restore your phone back to iOS 8.0 while Apple figures out what went wrong with the iOS 8.0.1 update that the company has already pulled from its servers. If you were unlucky enough to have updated your phone and had cell service and TouchID torpedoed, all you need to do is restore your phone via iTunes. 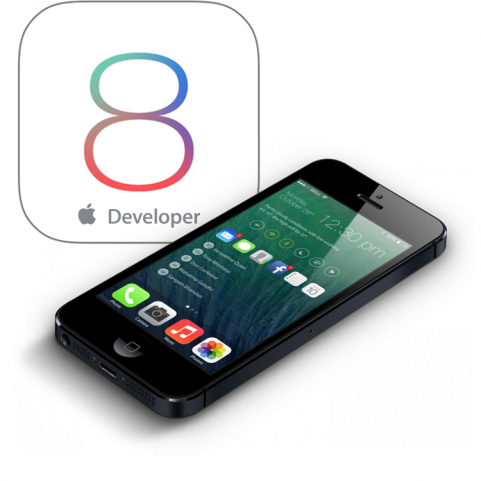 Because the iOS 8.0.1 update is gone from Apple’s servers, you’ll be pushed back to iOS 8. Before you hit the restore button, you’ll want to back up your phone. Once that’s complete, hit Restore and expect your iPhone to be up and running in about an hour, depending on your available data speed. Update: We’re hearing from readers that iTunes is still downloading iOS 8.0.1 to their iPhones. That’s no good. So here is a list of all iOS 8 IPSW (iPhone firmware) files for each iPhone. Find and download your iPhone’s IPSW. Then option+click on Restore in iTunes. You’ll be prompted to find the IPSW you just downloaded. Use that file instead of downloading Apple’s and you should be restored back down to iOS 8.